The Milwaukee Brewers had a nine-hit, 10-run fourth inning and went on to cruise to a 24-3 Cactus League victory over the Seattle Mariners on Monday. Kirk Nieuwenhuis led the teams 24-hit attack with a home run, two doubles and six rbi. Keon Broxton, Orlando Arcia and Travis Shaw also homered for the Brewers. 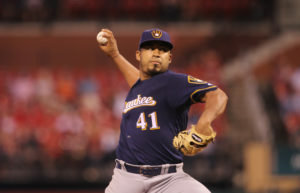 Pitcher Junior Guerra, who is in line to be the Brewers opening day starter, tossed four solid innings, allowing one hit, a first-inning home run by Ben Gamel. The Brewers improved to 10-8 in Cactus League play. They’ll face the Cubs in Mesa, Arizona on Tuesday. Andrew McCutchen entered last night’s series opener at Miller Park with a .246 batting average, 17 home runs and 52 runs batted in. Despite his struggles this season, McCutchen single handedly helped his team end a 9-game losing streak at Miller Park, as the Pittsburgh Pirates pulled out a 3-2 win over the Milwaukee Brewers in 10-innings. Zach Davies turned in another solid outing as the Milwaukee Brewers knocked off the Arizona Diamondbacks 6-4 at Miller Park. 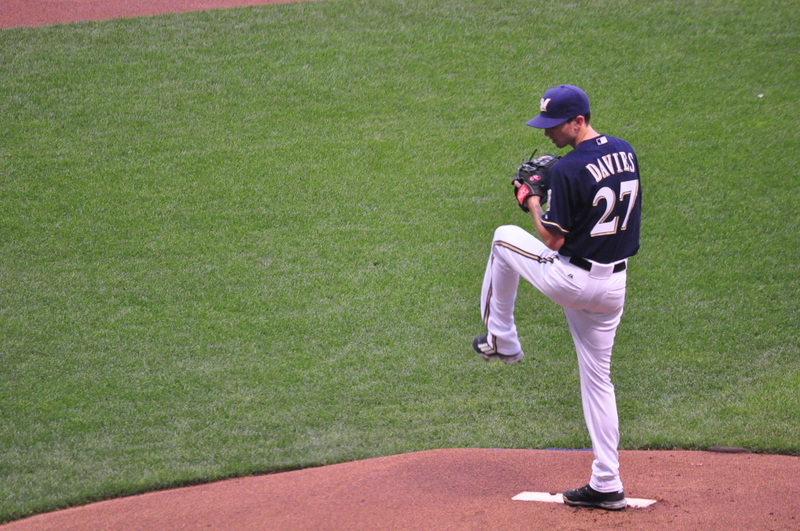 The Brewers captured three of four in the series. Davies allowed three runs, only two earned in 6 1/3 innings, while striking out five. He improved his record to 8-4 on the season. 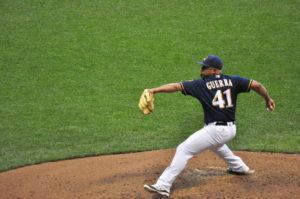 Junior Guerra’s star continued to shine bright on Wednesday night, leading the Milwaukee Brewers to a 7-0 win over the Los Angeles Dodgers at Miller Park. Guerra allowed just two hits over eight shutout innings with two walks and seven strikeouts. 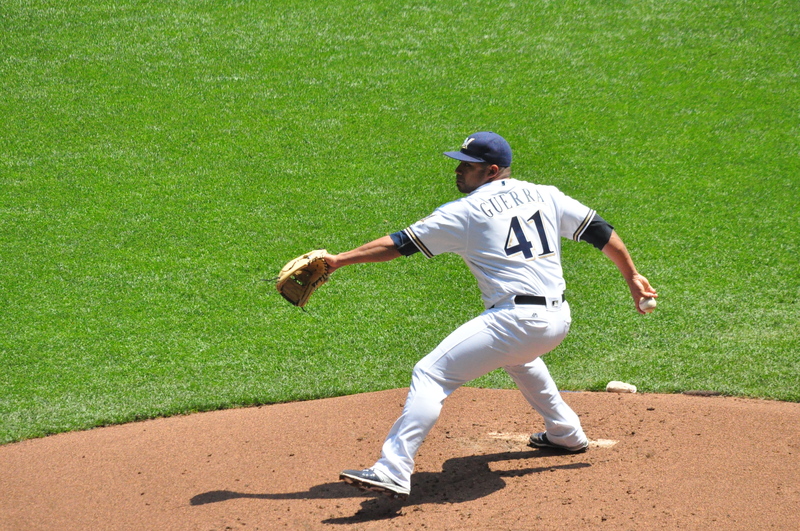 The Brewers gave Guerra some early runs to work with. Kirk Nieuwenhuis clubbed a three-run home run as a part of their five-run second inning. Ryan Braun also homered and doubled, driving in four runs. For the 11th straight time, the Milwaukee Brewers were involved in a game decided by two or fewer runs. They won their second straight close outing, knocking off the Braves 3-2 in 13 innings. Jonathan Villar’s RBI single in the top of the 13th was the game winner at Turner Field. The Brewers are 6-5 during the 11-game stretch and 4-4 in one-run games during that time frame. The winning rally started when Kirk Nieuwenhuis singled. Aaron Hill followed with a walk and Keon Broxton recorded his first major-league hit with a bloop bunt that evaded the pitcher. Junior Guerra was making just his fourth major league start. He turned in another solid performance, allowing just five hits and striking out 11 in seven innings as the Milwaukee Brewers knocked off the division leading Chicago Cubs 5-3 at Miller Park. Chris Carter and Kirk Nieuwenhuis clubbed home runs to lead the way offensively and with closer Jeremy Jeffress off limits, Michael Blazek and Tyler Thornburg worked the eighth and ninth innings to close out the win.